On a fashion related note, when we visited at The Maxims Tower in Resort World Manila, I felt a bit monochromatic as my accessories were mostly shades of brown. Thus, the topic of today's post. DKNY Logo jacquard cotton fabric with leather trim. Double exterior functioning pockets with detachable, adjustable leather strap. 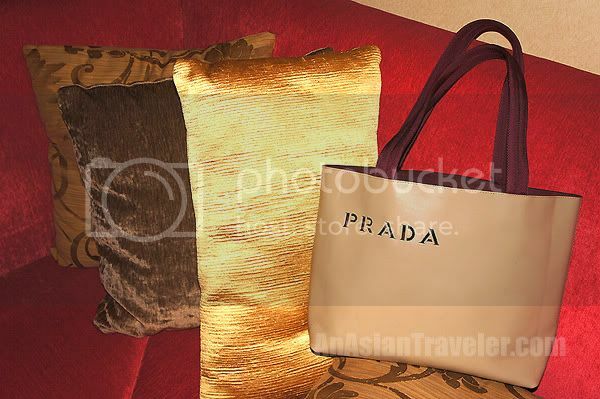 I also dusted off my old Prada tote that had been lying around for a long time. This was originally bought nine years ago, so I don't know if you can call this a vintage bag. I needed an extra small tote, but I was a little wary of using for fear I might look like a Christmas tree with too much accessories, but finally decided that I needed this to put my precious camera and some little tiny things. Then I paired it simply with a pair of my 80%20 The Diva Pins Wedge. 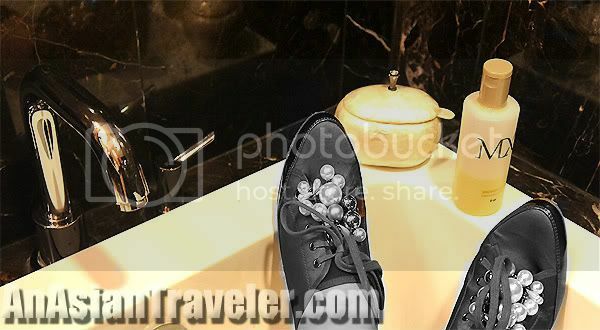 What I like about these shoes are the unique faux pearl beads detailing at laces that made even more feminine. Plus I love the comfortable 2.5 hidden wedges for extra height. 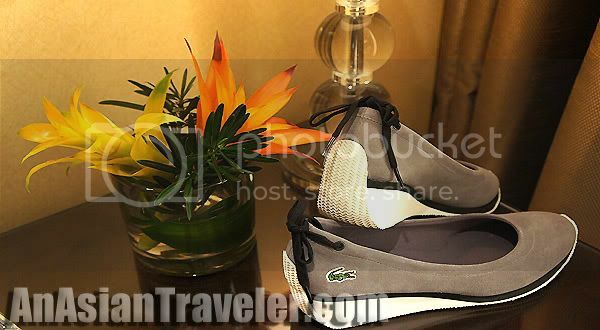 I took my Lacoste shoes out for a spin too. 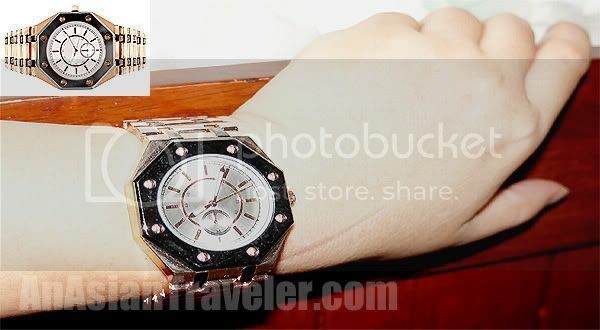 And I added my new chunky oversized Asos Boyfriend style watch in copper with octagonal case detail to complement it. 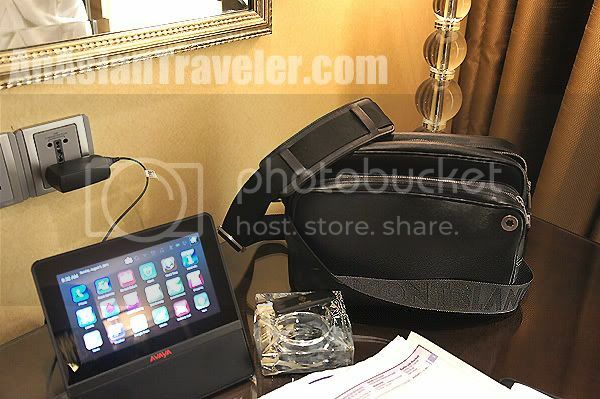 Last but not least, I noticed this MontBlanc 4810 Westside Reporter bag when HB brought this with him. 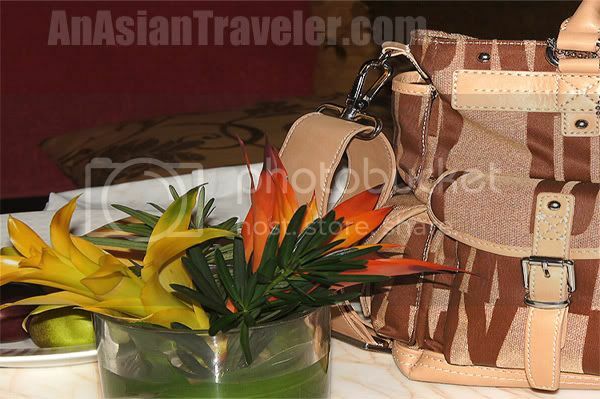 I thought MontBlanc is only known for high-quality pens and watches, but they do carry bags as well. I never considered myself a fashion maven, and I don't really get dolled up and wear lavish outfits like other fashionistas as I am by no means affluent to be extravagant. I dress very SIMPLE (casual and basic clothes only). But I do love to accessorize with a nice watch, cute jewelries, handbags and shoes. So I guess my Dad's love for clothes and beautiful things obviously influenced me and most of my siblings.